Everything you need to know about finding parking near LA’s hot spots. 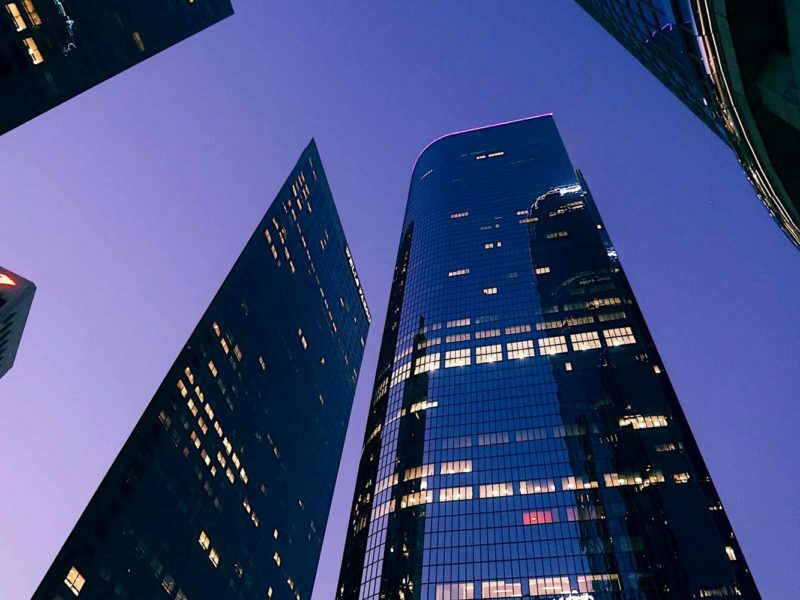 Don't know where to start planning your bus rental trip to Los Angeles? Los Angeles is, for lack of a better description, busy. 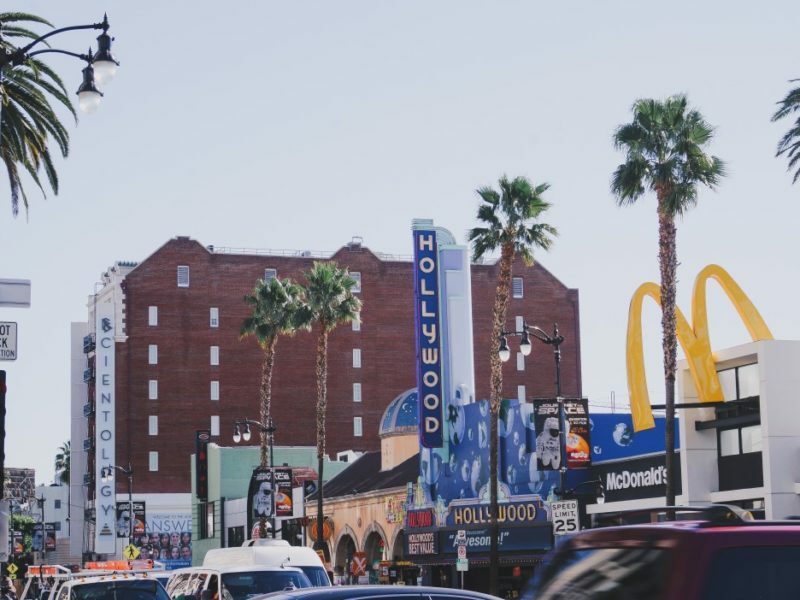 The traffic is notorious for holding up seemingly simple trips for hours, and parking can be a nightmare by extension; especially if you’re intending to tour Los Angeles by bus rental. Thankfully, there’s a solution to these navigational pitfalls: You can read a guide like this one. Here you’ll find a practical guide to parking a bus in Los Angeles. Whether you’re looking to organize a tour, planning a large gettogether like a meeting or party, or you’re planning an educational trip for a camp or school, the following information ought to come in handy. 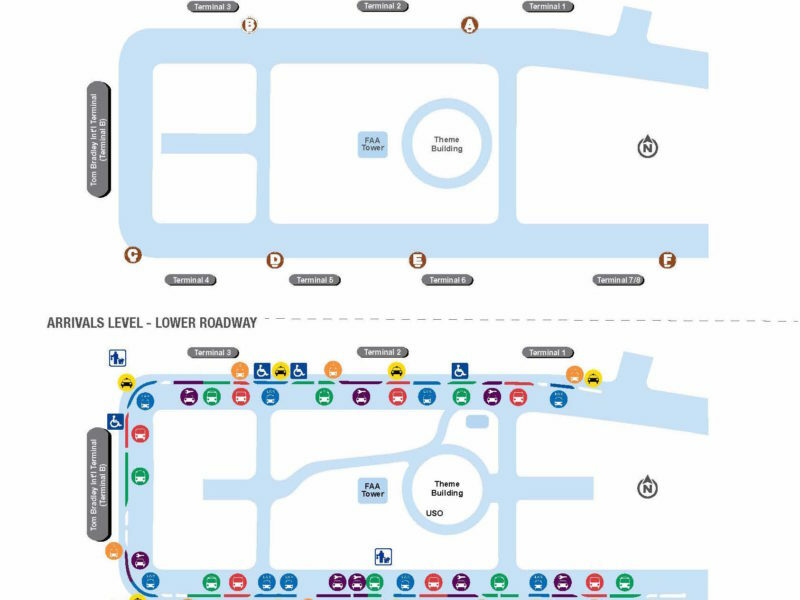 Each terminal at LAX has a designated spot for charter buses, indicated by green bus logos on the Arrivals level—the lower roadway—of the airport. There are eight terminals in total, which means eight possible parking spots. Take note of which terminal your party will be arriving at and be sure to arrive well in advance of your party’s arrival; traffic here can get pretty congested. One of the most beloved attractions for the city of Los Angeles is driving through the iconic Beverly Hills, known for its upscaled attractions and sightseeing the homes of celebrities. This area welcomes large vehicles such as coach buses, but the rules are particular. Note that touring vehicles like your bus may not use Park Way or the residential streets north of Santa Monica Boulevard. 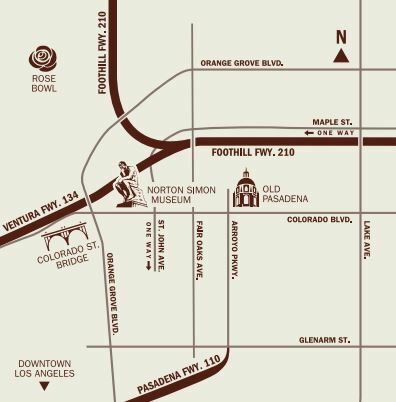 While there are several drop-off points in the area, the only location that accept staging daily is the south side of Third Street between Civic Center Drive and Foothill Road from 8 a.m. to 10 p.m. for a maximum of 2 hours. The designated access route to the Third Street Tour Bus Zone is via eastbound North Santa Monica Boulevard to Civic Center Drive only. 400 block of North Crescent Drive adjacent to City Hall is available on Saturdays and Sundays only from 8 a.m. to 10 p.m.
9300 block of Burton Way, adjacent to the Beverly Hills Courthouse, is available on Sundays only from 8 a.m. to 6 p.m. during the Sunday Farmers’ Market. 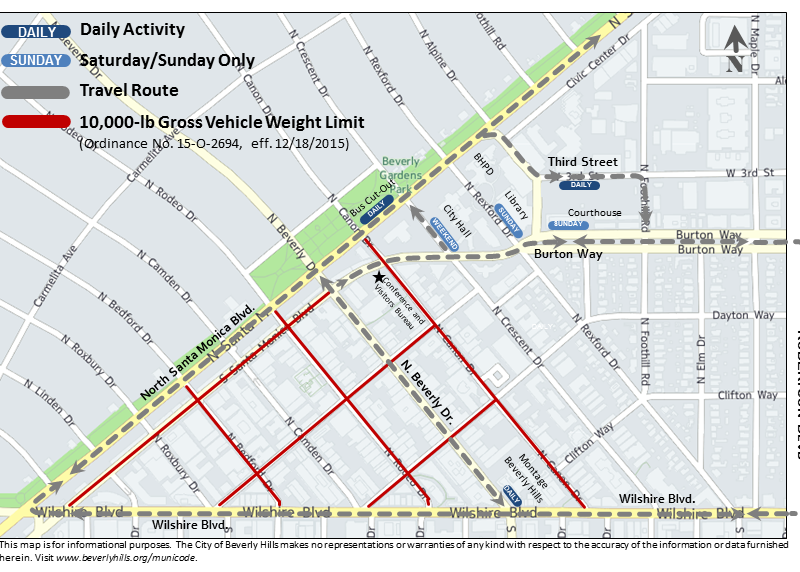 400 block of North Rexford Drive, adjacent to Beverly Hills Library, is available on Sunday only from 8 a.m. to 10 p.m. 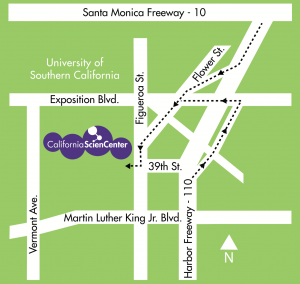 The north side of North Santa Monica Boulevard, between North Canon Drive and Crescent Drive, is available at the bus cut-out daily from 8 a.m. to 10 p.m. 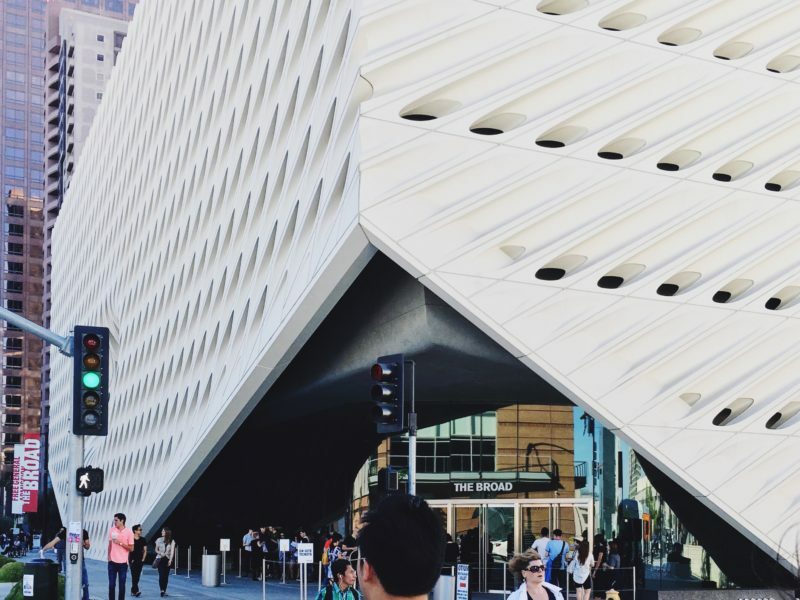 Among the many, many entertainments in Los Angeles, museums are a great option not only for their variety of subject matter, but also for their accommodation of large groups’ need for parking options. However, not all of these locations have adequate parking and only suggest nearby streets. 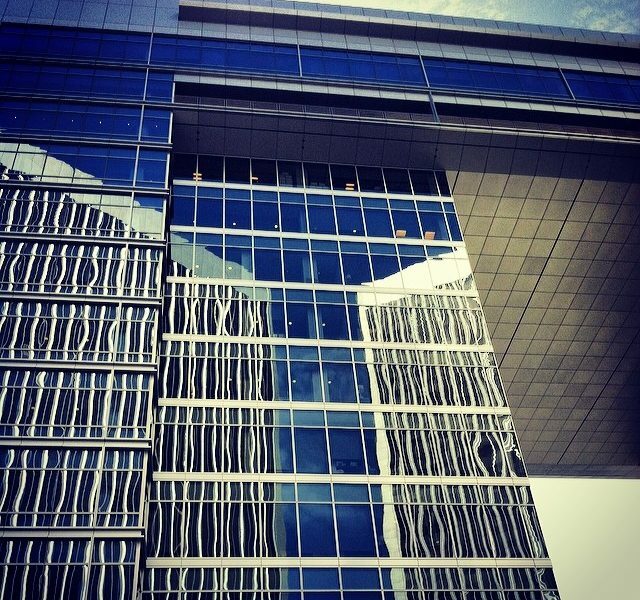 That’s why we’ve given each listing notes for drop-off/pick-up zones and parking. Take note and plan accordingly so everyone has a great trip! 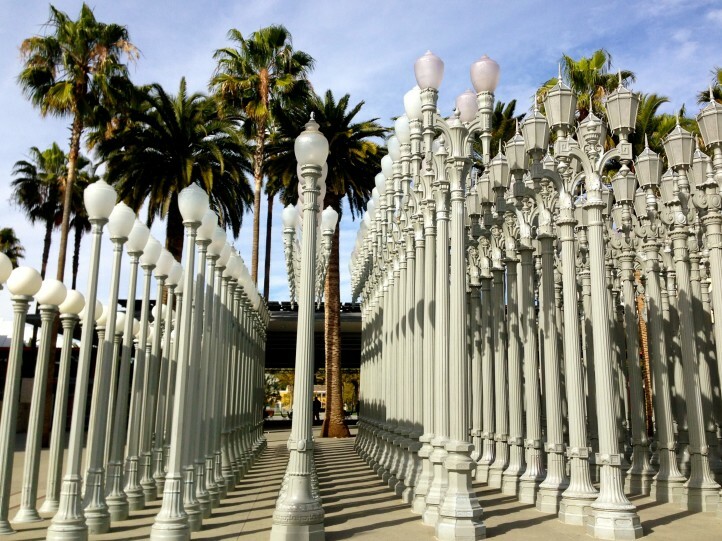 Groups may be dropped off and picked up at the bus cut-out on Wilshire Boulevard, located in front of LACMA’s main entrance, the Smidt Welcome Plaza. Buses should pull up to the very end of the cut-out and drop passengers off in front of Urban Light, an outdoor art installation that has 202 vintage lamp posts arranged on the sidewalk, a great photo op! Buses may park on Curson Avenue on the eastern border of Hancock Park, or on Sixth Street, one block north of Wilshire Boulevard. However, the spots are first come, first served. It’s recommended you plan an emergency $64 parking budget for four car-sized spots in case the bus parking is all taken at the time of your arrival. 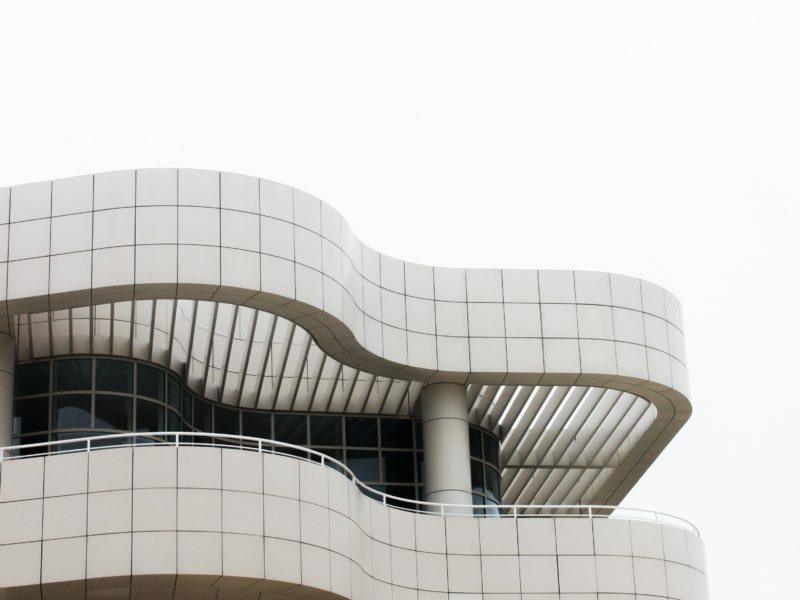 If you’re looking to access the Museum, it’s located adjacent to the 405 Freeway at 1200 Getty Center Drive; visitors can take a 5-minute tram ride up the hill to the museum from the parking garage. As for the Villa, situated one mile north of Sunset Boulevard, motor-coaches can only enter from the northbound lane of Pacific Coast Highway. Groups arriving by motor-coach should make a parking reservation with the Getty Visitor Services Group Department either by phone or by email. Motor coaches of 30 seats and more are subject to a $185 parking fee. 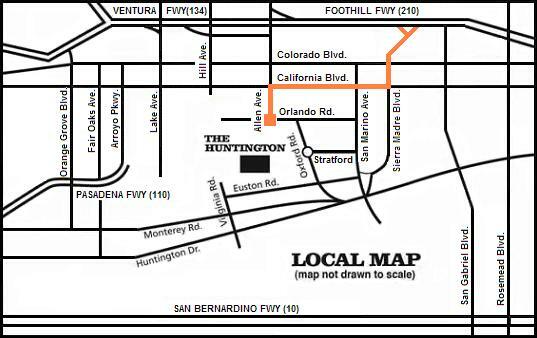 Located at 1800 Orlando Avenue, there’s only one legal bus route to The Huntington from the north: If you’re arriving, exit the 210 at Sierra Madre Boulevard, head west on California Boulevard, and finally south on Allen Avenue to the Huntington’s gate. If you’re exiting, take that same route in reverse order. Parking here is free, but groups arriving by bus must make reservations in advance by calling the Huntington at 626-405-2240. 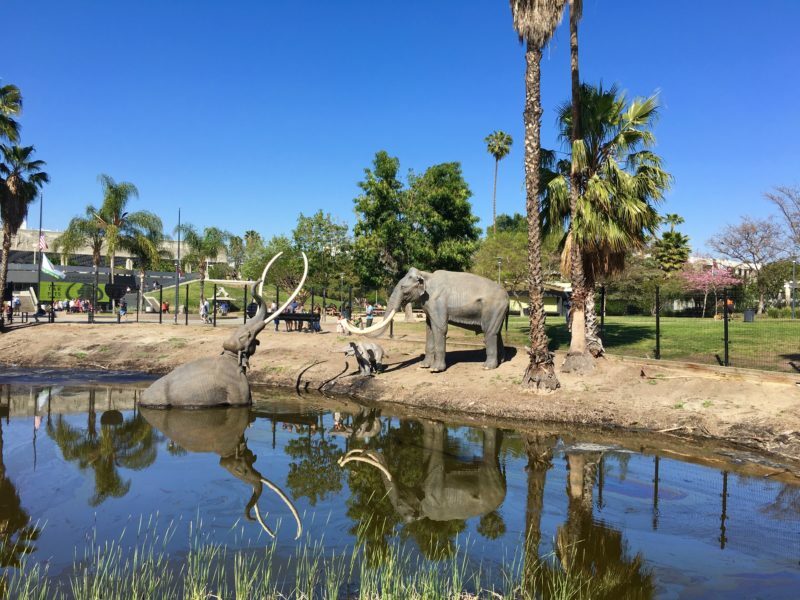 Charter buses and other similarly large vehicles use a drop-off on Expo Park Drive, right around the corner from the museum’s front door, so enjoy the walk through the green scenery! The price for bus parking at Lot 6 of the NHM’s Car Park on Exposition Bouldvard and Bill Robertson is $12, cash only, and the museum notes that additional charges for charter buses may apply; call ahead to plan accordingly. 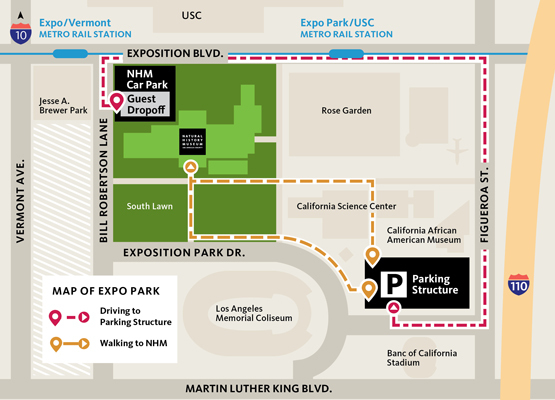 If the Car Park’s full, try the Expo Park Parking Structure off of Figueroa Boulevard and 39th for the same price. Buses are able to pull up in front of the museum along Grand Avenue to drop off and pick up passengers, and if wait times ae long, the Grand Park isn’t far away from the front doors. The BCAM does not have parking available for vehicles over 7’2”, and that might exclude your vehicle, but don’t worry: The area around the museum is peppered with parking lots, so just make sure to call around to find your spot. 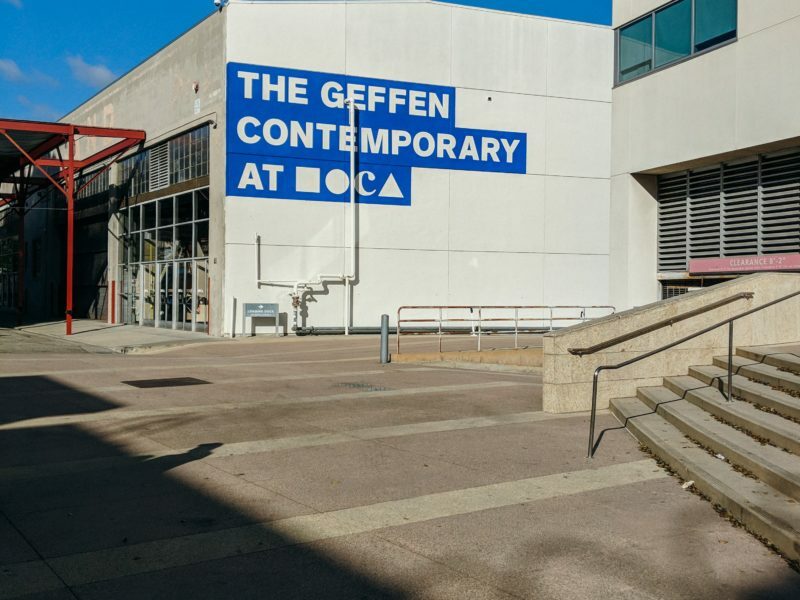 There’s a passenger loading zone for drop-offs and pick-ups in front of MOCA Grand, and a passenger loading zone near The Geffen Contemporary, located in front of the adjacent Japanese American National Museum. Unfortunately, this location doesn’t have its own designated parking, but there are open-air paid lots in the area. Make sure to call around and take note of the prices. Groups in buses coming to the Observatory must go to the drop-off at the designated area near the building; however, buses must leave after dropping off passengers and return when they are ready to pick up visitors as there’s no room for safe parking. 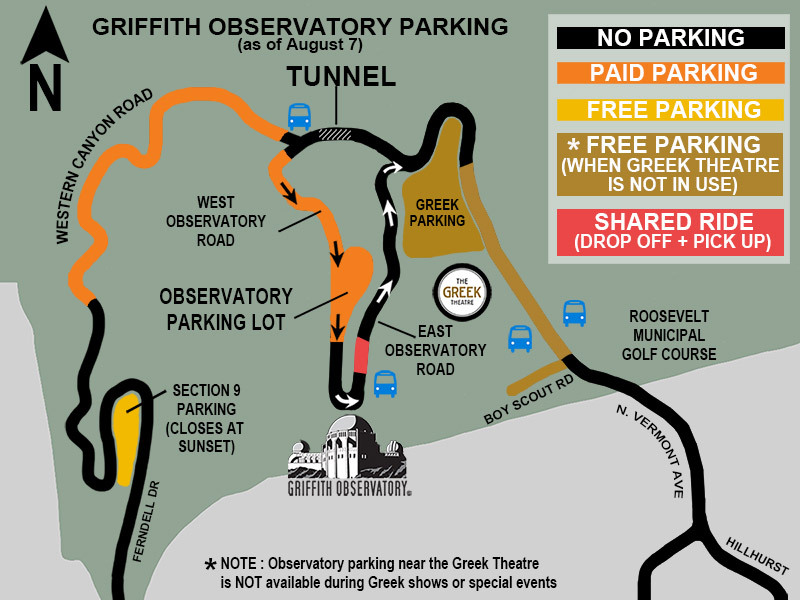 Unfortunately, no buses can park or wait at the Observatory at any time, but there is generally parking available around the Greek Theatre nearby at 2700 North Vermont Avenue. Lucky you, there’s a drop-off/pick-up zone right in front of the museum! The only tricky part is driving right up to the front door, so whether you’re approaching from the north or the south, follow the driving directions on the museum’s website. Parking is available from the museum itself, and the only important thing to note here is the kind of vehicle you’re arriving in, as it affects the price: Parking for school buses is $12 before 5:00 p.m. and $15 after 5:00 p.m., while parking for charter-size buses and other similarly oversized vehicles is $30. Groups traveling in larger vehicles may be dropped off in a designated valet area in the driveway between 2029 and 2049 Century Park East. However, once visitors have disembarked, the vehicle must be moved to another location until the tour is completed. The Annenberg’s parking structure can’t accommodate buses, large vans and other oversized vehicles, but they can park at Cheviot Hills Park, the lot for which is located at 2551 Motor Avenue. Set your GPS accordingly! Your group’s welcome to pull up to the Museum anytime during its hours of 9:30 a.m. to 5 p.m., seven days a week, provided that you use their online reservation system to arrange your visit. 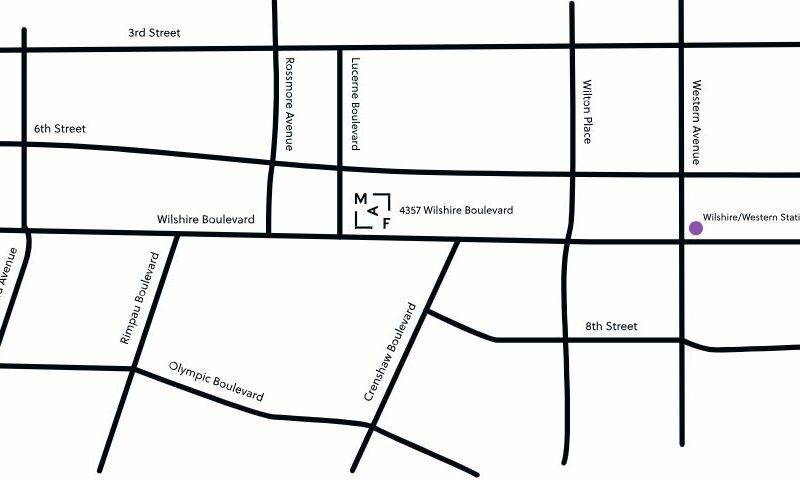 Buses can park for free on Curson Avenue between Sixth Street and Wilshire Boulevard directly behind the museum, but if you choose street parking, please read all parking signs carefully. Most importantly—and the museum itself writes this in caps—don’t park along Wilshire Boulevard between the hours of 7 and 9 a.m. and 4 to 7 p.m. from Monday to Friday, or your car will be ticketed and towed. It’s doesn’t matter if you are parked at a meter either, so take note of the time of day. For groups larger than 15 participants, it’s requested by the museum that you submit an online request or call (626) 844-6980 at least three weeks in advance of your visit; once you arrive, buses are to unload passengers on Colorado Boulevard adjacent to the museum. Buses can park on Colorado Boulevard or on Walnut Street, but only as city signs permit. Please note that buses aren’t permitted to unload passengers or park in the museum’s parking lot, so it’s best to avoid that area entirely. If you’re lost, security personnel are available to provide you with assistance. This museum notes that there’s a bus loading zone is located directly in front of the museum on First Street, but there’s one more thing to consider for your visit: The demand for group visits is high from January to June and the museum can be fully booked several months in advance. If you plan to visit then, make your reservations early. Bus parking is available on Alameda Street and Central Avenue, plain and simple, but be prepared to pay a nominal fee to do so. The zone for passenger arrivals and departures is located on Lucerne Boulevard, right outside of the entrance to the MAF’s courtyard. Note that the MAF can’t accommodate buses in its parking lot, so drivers will have to park elsewhere during visits, such as at a public parking lot with possible fees to pay.